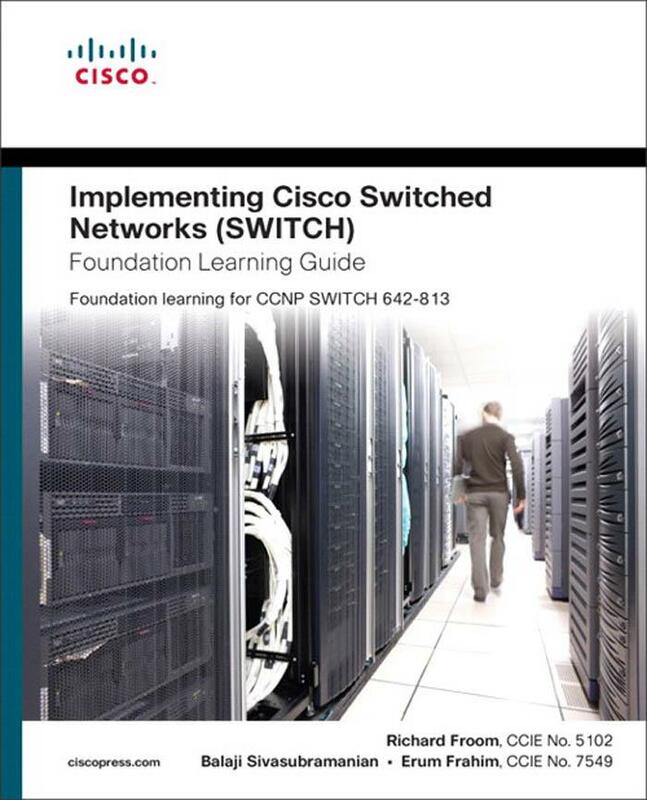 This is my review and notes of Chapter 2 of “Implementing Cisco Switched Networks Foundation Learning Guide”. Chapter is a pretty good refresher for a lot of things around VLANs. Having not used Cisco switches for a while, the show commands are a pretty helpful reminder of some available commands other vendors may not have. The chapter also somewhat applies some of the models discussed in chapter 1 in terms of the VLAN implementation around PPDIOO. Later the chapter covers Private VLANs and EtherChannel. Personally felt the Private VLAN explanation was too confusing and instead resorted to an explanation from How to Master CCNP Switch. – Different modes of DTP. Possibly some VTP. – EtherChannel covering PAgp, LACP, and includes load balancing techniques. – Each VLAN spans the network geographically. – Users are typically associated with a given VLAN for network management reason hence why they are kept in the same VLAN. → Switches typically use VTP in server/client mode. Local VLAN – Choice for Campus Enterprise Architechture. → In other words, local VLANs are created with physical boundries in mind rather than the job function of the user. – Generally local VLANs exist between the access and distribution levels. – Traffic is routed at Distribution and Core to reach other destinations on the network. – Usual reccommendation is max of 3 VLANs per access layer switch. → VTP configured in transparent mode as no vlans should be advertised to other switches, nor need to be created on any other switches. => A network that consists of entirely locla VLANs can benefit from increased convergence times offered via routing protocols, instead of spanning-tree for layer 2 networks. – This is a macro for enabling spanning-tree PortFast and disabling etherchannel on a per port basis. – Displays MAC address table info for specified interface in specified vlan. – Very helpful in determining if attached devices are sending packets to the correct VLAN. Access – Port is permanently configured for nontrucking. Trunk – Port is permanently configured for trunking. – Other End of link needs to be trunk/dynamic desirable, or dynamic auto. Nonegotiate – Puts port in permanent trunking mode BUT port will not send out DTP frames. – Other end of link needs to be either trunk or nonegotiate. Dynamic Desirable – Interface activel attempts to convert the link to a trunk link. Dynamic Auto – Interface willing to convert the link to a trunk link. – Trunk only form if neighbor set to desirable or trunk. – Cisco proprietary protocol that is used to synchronise and distribution VLAN databases throughout a switched network. – Cisco switches transmit VTP info only on trunk links. – VTP info is multicast. – Synchronizes VLAN config with latest info received from other switches in management domain. – Does not save VLAN config in NVRAM. – Creates, modifies, and deletes VLANs. – Sends and forwards advertisements to other switches. – Saves VLAN config in NVRAM. – Fowards VTP advertisements received from other switches in same VTP domain. There’s a bit more to VTP such as importance of sequence number etc but this isn’t stuff I feel I personally need notes on. – Probably one of the main advantages to using VTP. – VTP pruning uses VLAN advertisements to determine when a trunk connection is flooding traffic over trunk links needlessly. By default, a trunk connection carries traffic for all VLANs in the VTP management domain. – VTP pruning increases available bandwidth by restricting flooded traffic to those turnk links that the traffic must use to access the appropriate network devices. VTP has 3 versions. Version 2 is most commonly used. If all switches in a domain are capable of running VTP version 2, enable VTP version 2 on one VTP server. The VTP server propogates the version number to the other VTP version 2 capable switches in the VTP domain. 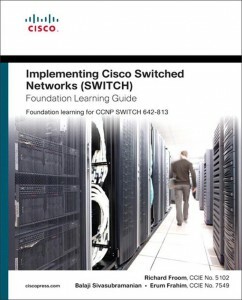 I found the implementing switch chapter pretty confusing on this subject, and instead looked at How to Master CCNP Switch. From the brief look I’ve had at this book, I think it’s pretty good, and avoids a lot of the waffle that you find in the Cisco press books. If I had more time before my exam, I would have liked to read this book in more detail. Anywho on to private VLANs! A private VLAN is simply a vlan that has limited communication with other ports on the switch, depending on configuration. A private VLAN always has one primary VLAN. Within the primary VLAN you will find the promiscuous port. Secondary VLANs can always communicate with the promiscuous port but they can never communicate with other secondary VLANs. Private VLANs can also be carried over 802.1Q trunk links. Configuration is basically the same on the other switch. You only need to add the vlans to the trunk link. Complete layer 2 separation from other ports within the same private VLAN, except promiscuous ports. – Can communicate with all ports within the private VLAN, including community and isoldate ports. – Only part of 1 primary VLAN, but each promiscuous port can map to more than one secuary private VLAN. – Promiscuous ports are generally router ports, backup or shared servers, or VLAN interfaces. – Community ports communicates among themselves and with their promiscuous ports. – Isolated at layer 2 from other interfaces in other communities, or in isolated ports within their private VLAN. Firstly configure the switch to VTP mode transparent. – If two ports are port protected, they can not communicate with eachother. Apologies if this section lacks more detail. It’s not an area I personally need many notes on. – Packets sent every 30 seconds. PagP checks for config consistency and manages link additions and failures between two switches. – Passive state in which the ports respond to PagP packets that it receives but does not initiate PagP negotiation. – Does not exchange PagP packets. – Other side also needs to be configured with ‘on’. Basically identical to PAgP but IEEE open version. – Passive negotiating state (responds to LACP packets, but doesn’t initiate EtherChannel). – Forces interface to channel without PAgP or LACP. System priority – Each switch running LACP must have a system priority. This is automatic, but user can also manually configure. Switch uses MAC address and system priority to form the system ID. Port priority – Same as above. Switch uses the port priority to decide which ports to put in standby mode when a hardware limitation prevents all compatible ports from aggregating. Administrative key – As above, auto but can be manually done. Defines the capability of a port to aggregate with other ports e.g. physical port characterisitcs incl speed/duplex etc. One thing people often get wrong when it comes to EtherChannel or aggregator links, is they think that because they have two 1gbit links in an aggregator, that they now have 2gbit of bandwidth for any of their traffic. This is only slightly true, as aggregators use a load balancing technique to ‘balance’ traffic over the two links. Depending on source/destination traffic that flows through the link, you may or may not maximise available bandwidth. See below on different balancing techniques. Use “Show etherchannel load-balance” to see what mode is in effect. ‘Conf t > port-channel load-balance’ to change it.